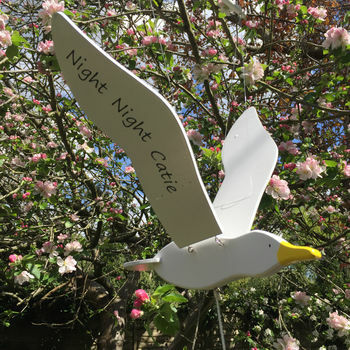 Add your personalised message to this beautiful seagull mobile for you little one to see every day. 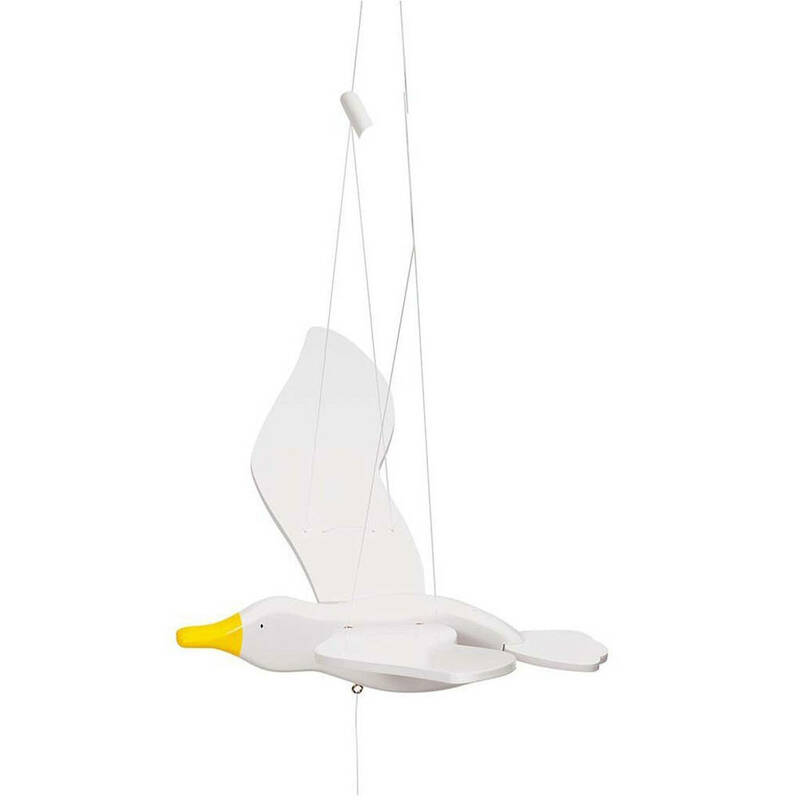 The chunky wooden seagull has a cord to pull to make the wings flap and with a wingspan of 56 cm the gull looks very impressive 'flying' through the room. 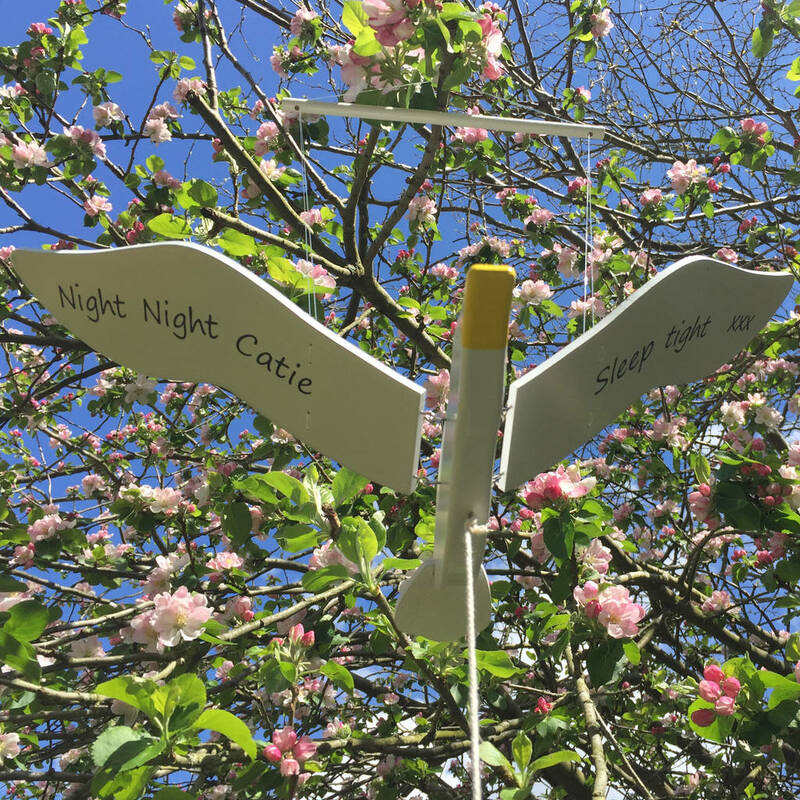 We have added a 'good night' message to ours but you could have a good morning message or just a nice message or short poem. 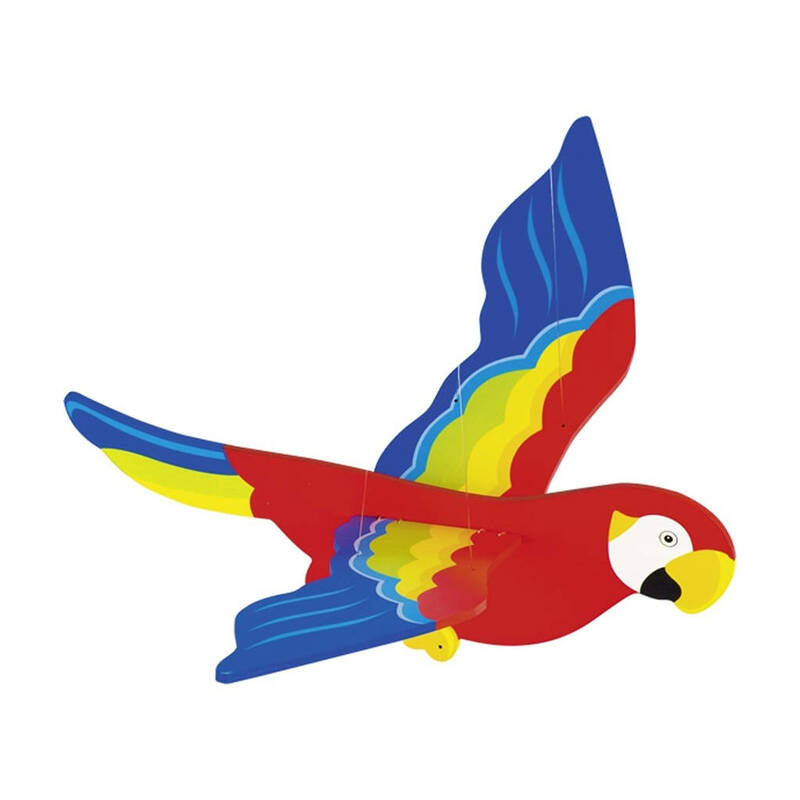 If you would like to add more than 30 characters there is an additional charge of £5, up to 50 characters. 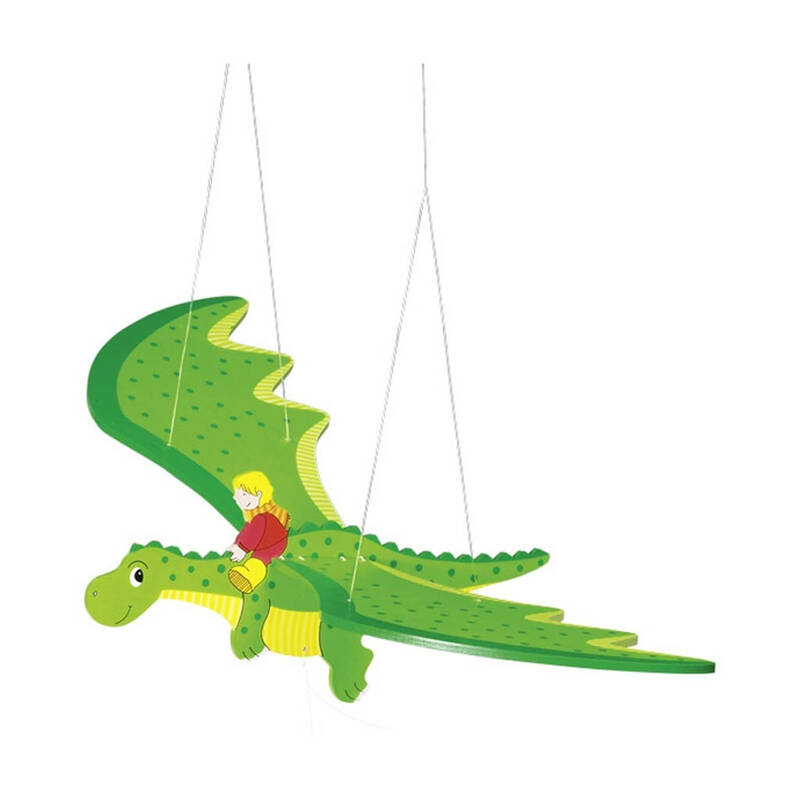 We also have a dragon or parrot version available.